As the economy tends to a positive recovery, in 2010 the insurance market growth predicted to grow by 20%. Included in Batam, which in the year 2009 its macro economic conditions are relatively stable instead. 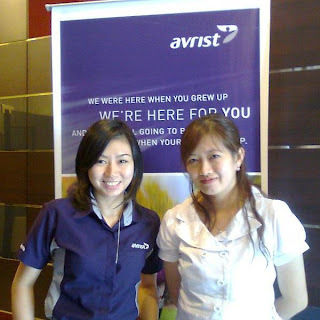 This is what encourages PT Avrist Assurance, an insurance company with independent concepts, which carried the slogan 'My Agency Is Number 1', planned to do for the grand opening of a branch office in Batam, on 20 January 2010. Also PT Avrist Assurancesendiri supported by strong financial strength. Non-audit financial statements as of June 30, 2009 showed total assets of more than Rp 6.7 trillion and solvency (RBC) of 354%. "This is a trigger Avrist to expand into other parts of regions in Indonesia" Said Trescia PT Wijaya office in Batam Avrist Assurance Complex Block C crown highway No. 7 Batam Center. By prioritizing 'quality service' to customers, colleagues, and partners from all aspects and focus, commitment, consistent and responsible for the realization of innovative business strategically to advance the lives of all parties is one of vision and mission to be achieved by Avrist Assurance. "This is our commitment to improve services to customers Avrist" said the bachelor who loved this blue color. On the other hand, who also Noriani Agency Avrist Assurance Manager Batam, stated, will many surprises and gifts in the upcoming grand opening. "Avrist but will provide information about products and services Avrist Assurance will also provide a variety of gifts and merchandise as well as lucky draw for an invitation dhadir" said Noriani added. Furthermore, according Trescia, focus is currently being conducted by PT Avrist Assirance, especially for areas of Batam, is the service for the customers better. Superior products that offer post-rebranding (formerly AIA Indonesia-red), one of Prime Invest Avrist, unit-linked products or product protection combined with the investment and the only one in Indonesia. "In the upper middle segment, sells investment products, but for the middle segment more protection to the product. In 2010 we will do balancing between protection products and investment products, "said Trescia.